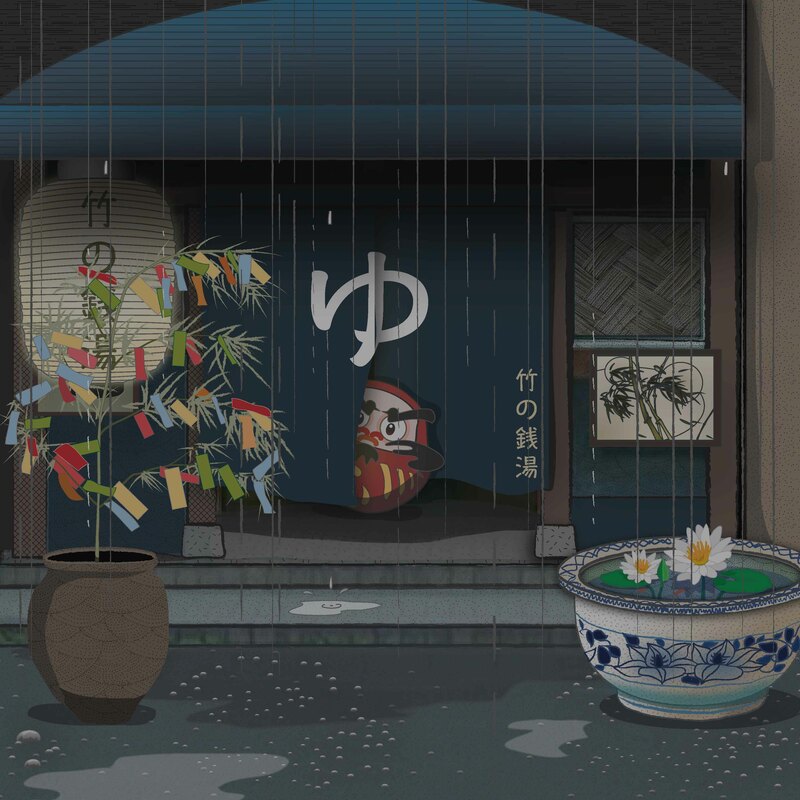 It was still raining heavily in Tokyo at the start of July, and the full heat of summer was also beginning to set in, but there was a buzz around the bamboo bathhouse. Miko-chan began to get excited when she saw Mama Kojin preparing coloured strips of paper on the kitchen table. “What are they for?” she asked. “They are tanzaku (短冊)” the old green lady replied. “We will write our wishes for the future on them and thank the earth for all of our good fortune. Then we will hang them on a bamboo branch outside the bathhouse. They are a part of the star festival called Tanabata matsuri (七夕まつり), which takes place on the 7th day of the 7th month. Depending on where in Japan you are, the festival can take place anywhere from the beginning of July to the end of August, because it depends on what method/ calendar is used for the date. “Why is it done at this time of year?” asked Miko-chan, who liked the look of all the pretty colours and very much wanted to write her wishes down. “It is a love story” said Mama Kojin, and she began to tell the story to the little cloth doll and her friend Kiku the fox, who had wandered in and sat down. “There are a few versions of the story, but here is the one I like to tell. 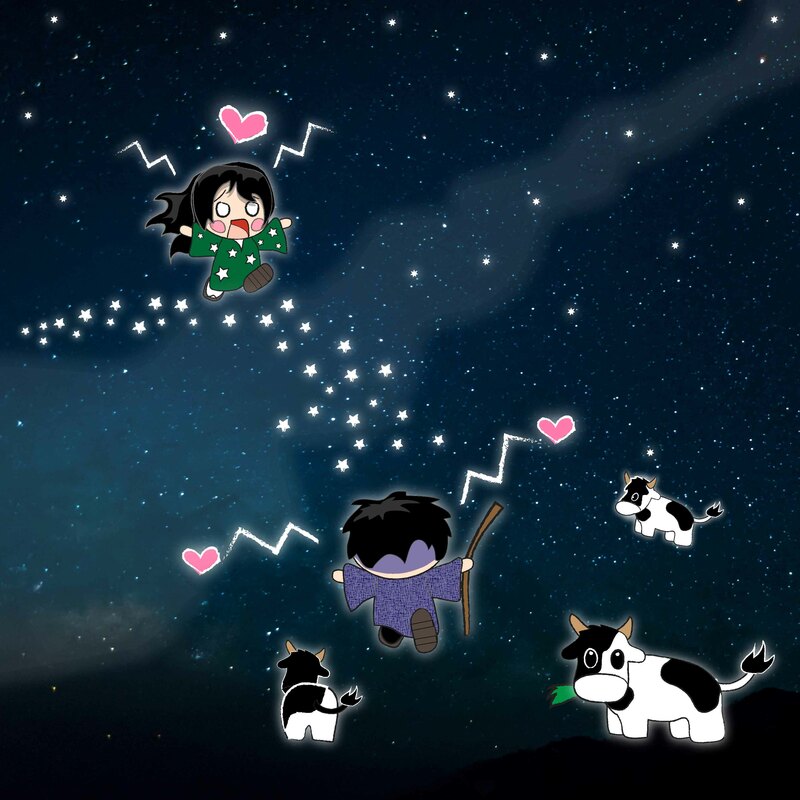 The sky above us holds many beings, and there was once a princess named Orihime (織姫) who wove the most beautiful cloth for her father the sky king Tentei (天帝) on the banks of the Milky Way, known as the Amanogawa (天の川, meaning “heavenly river”). “Oh how sad,” cried Miko-chan, who found the story very romantic. Mama Kojin helped the pair make their own paper strips and left them to write their wishes. Kiku wished for progress in his quest to become a guardian for an inari shrine, and Miko-chan, after much thought, wished to find out more about real shrine maidens, so she could learn more about the kind of doll she was. While waiting for the rain to slow a little, she began tying the strips to the bamboo branch Mama Kojin had set up in a large jar. 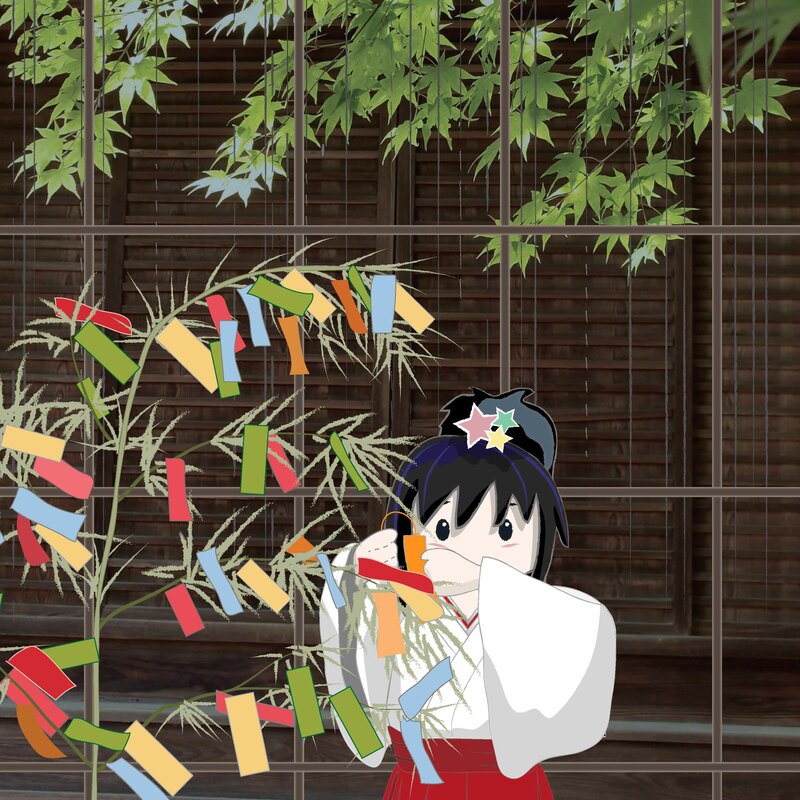 Tanabata means “evening of the seventh”, and is celebrated at different times in different regions of Japan depending on whether the Gregorian calendar or the lunisolar calendar is used to set the date. The festival is connected to ancient celebrations in China and was imported to Japan where it became mixed with the Obon traditions in August and Shinto purification ceremonies. There are several tales from folklore that have similar elements to them. 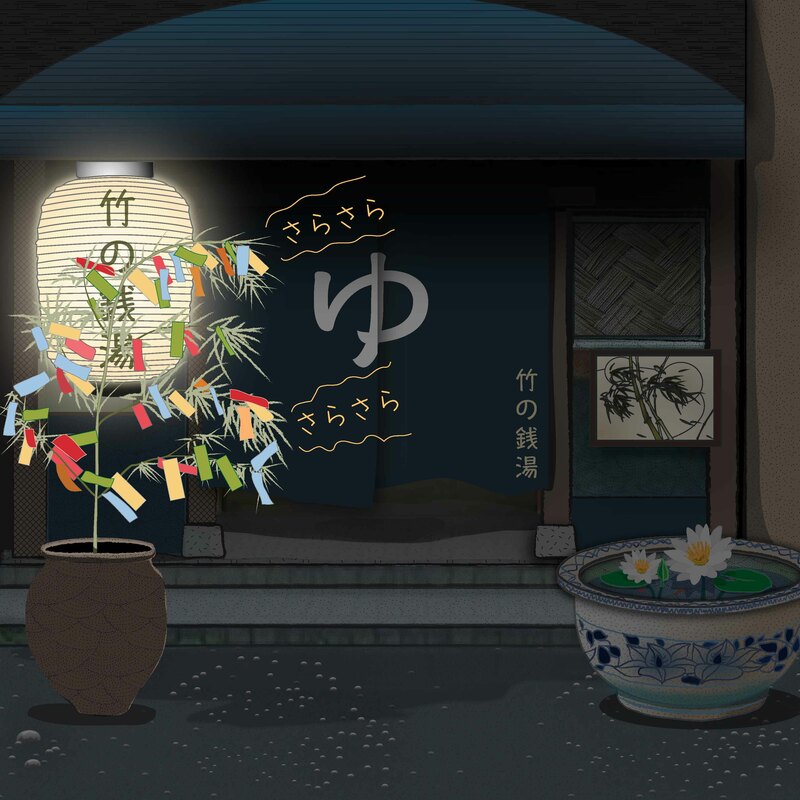 To celebrate the festival, cities in Japan put up colourful paper decorations such as fukinagashi (吹き流し) large paper tubular streamers and people write wishes for the upcoming year on strips of paper called tanzaku, which are hung on bamboo branches. Sometimes the branches are floated on a river or burned to ensure the wishes come true. The idea of a ‘wishing tree’ is found in many cultures around the world. Tokyo Disneyland sometimes has a tanabata parade featuring Mickey as Altair and Minnie as Vega. Altair, the star that represents the cow herder, is the brightest star in the constellation Aquila. 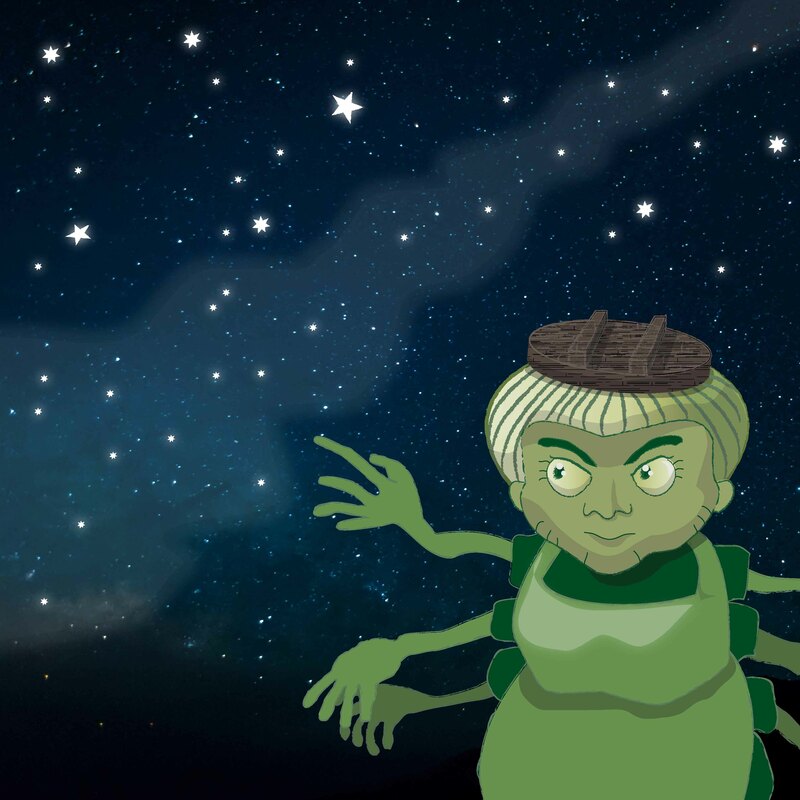 It is the 12th brightest star in the night sky. Vega, the star representing the weaving princess, is the brightest star in the constellation Lyra, the 5th brightest star in the night sky.